Rob Gordon tweeted that this yogourt cup from the 1976 Montreal Olympics washed up on a beach in France. 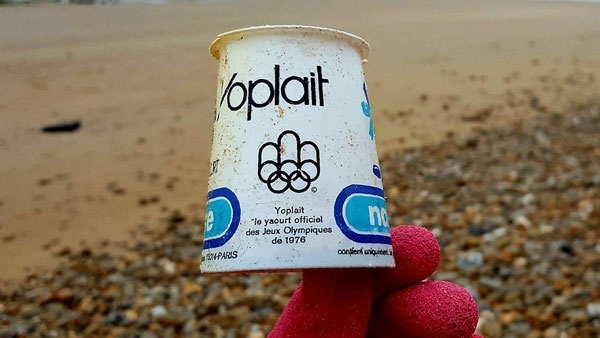 A yogourt cup from the 1976 Olympics in Montreal appears to have washed up on a beach in France this week. A man named Rob Gordon tweeted this picture of the Yoplait special edition cup. It has been retweeted some 12,000 times. Reports say the cup was found on Tardinghen Beach, in Nord-Pas-de-Calais, France. 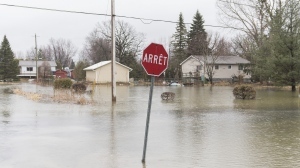 According to a report in French newspaper La Voix du Nord, a man named Matthieu Leroux made the discovery. The nature lover walks on the beach every morning with his dog and always takes a bag with him to collect trash. Many are skeptical of Leroux’s find, even claiming he made the cup with a 3D printer, but Leroux claims it is real. His theory for the good condition of the cup is that it perhaps came from a dump site more recently and had been sheltered from the elements for much of the last 40 years. Studies show it can take about 500 years for plastic waste to completely degrade.